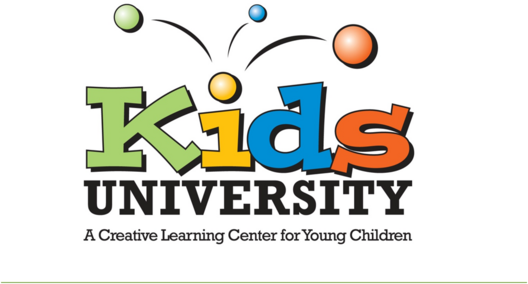 At Kids University we offer a small, home-like environment with all the advantages and structure of a learning center. We provide care for children ages 6 weeks-5 years. We take our role as childcare providers very seriously. That is why safety, comfort, and enjoyment for all children is our top priority. E-mail or call us for more information or to make an appointment to view our facility. We'd love to meet you and your child and show you our colorful, fun, and relaxing environment where your child can be themselves everyday.